Read my guide to the 90 minute football betting rule and learn a simple trick to avoid falling foul of the bookmakers in extra time. Most people understand the basic concept of Blackjack or 21 as it is sometimes called, but not many people know when to hit or stand. Do you know your two fat ladies from your legs eleven? Read my guide to bingo numbers and you'll be calling them like a pro. 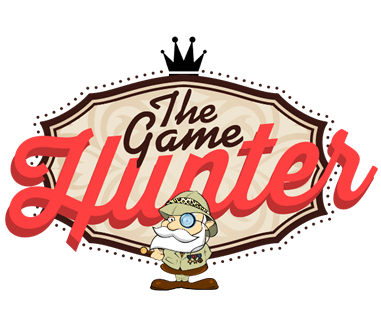 The websites featured on TheGameHunter.co.uk have been vetted by me. I know how easy it is to join, deposit money and more importantly how quickly you can get your winnings out. You can find trusted online casinos, sports betting and bingo sites by reading our detailed reviews. Along with information on game quality and fairness, I also let you know about cash bonuses being offered to new players like you. I've checked the sites are licensed by recognised gaming authorities and I also ensure they publish independently audited pay-out rates. Whether you're interested in Bookmakers, Casinos, Fruit Machines or horse racing like the Grand National 2020 you can be sure that I've hunted down the best places to have a flutter. I keep a close eye on the odds for all of the major sporting markets and make sure that you know about the best value that's available. Boxing, football, tennis, rugby and golf are just a few of the sports covered here. Never miss out with The Game Hunter! Also check out KingCasinoBonus.co.uk that comes with one of the most famous and secure PayPal casinos in the industry. Enjoy promotions tailored to suit every need and preference and play exquisite games! You’ll surely have more fun than ever! And if you want to check out more casino's, you can find UK sites here. 32 Red Casino is offering £160 free – When you deposit £50. 18+. T&Cs Apply. Wagering Requirements Apply. New accounts only. Min. £10 deposit. 50x wagering, game contributions vary, max. stake applies. See full terms. Casumo is offering new UK players a 100% bonus up to £300 + 20 free spins on the Starburst slot machine.